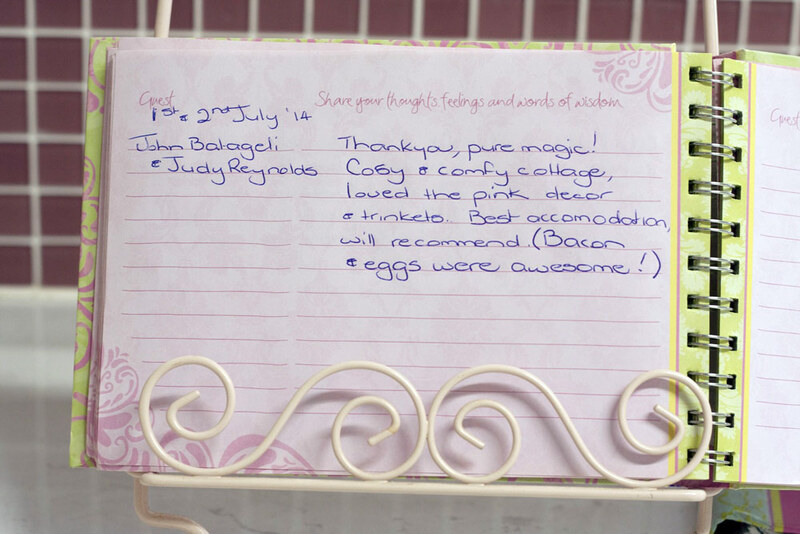 Simply sensational comments from our guests – see for yourself why Jasmine’s cottage is the best Bed & Breakfast retreat in the Barossa! I had been moaning to James for many hard long years that we never find anywhere that lives up to my expectations and I usually feel let down by the “weekend away”. 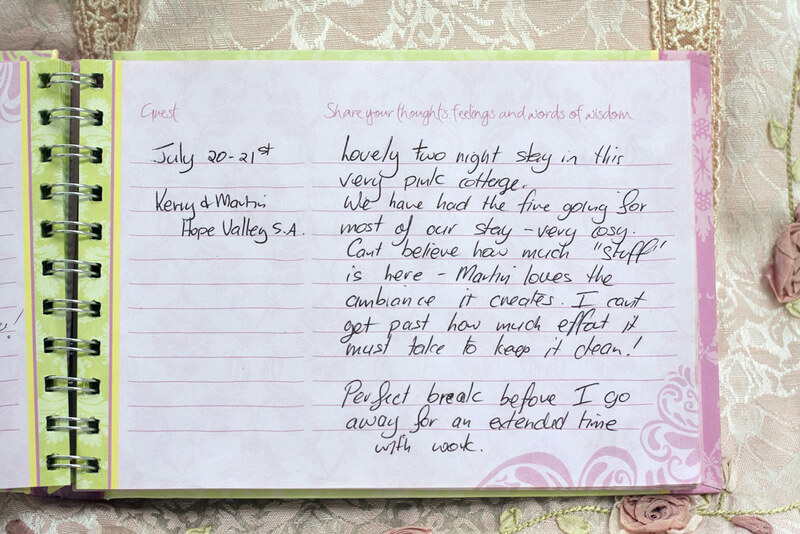 But thank you sooo much you are over and above the fantastic mark… I didn’t want to go out, I just wanted to stay here and soak up the fabulousness that this lovely retreat is: We both thank you very very much – Love it! The place was warm and cosy with just about everything you could want for a getaway. The fire was ready to light, fresh food in the kitchen for breakfast, walking distance to the pub and the deep two person spa with a garden view was so relaxing. A delightful place to celebrate our anniversary. 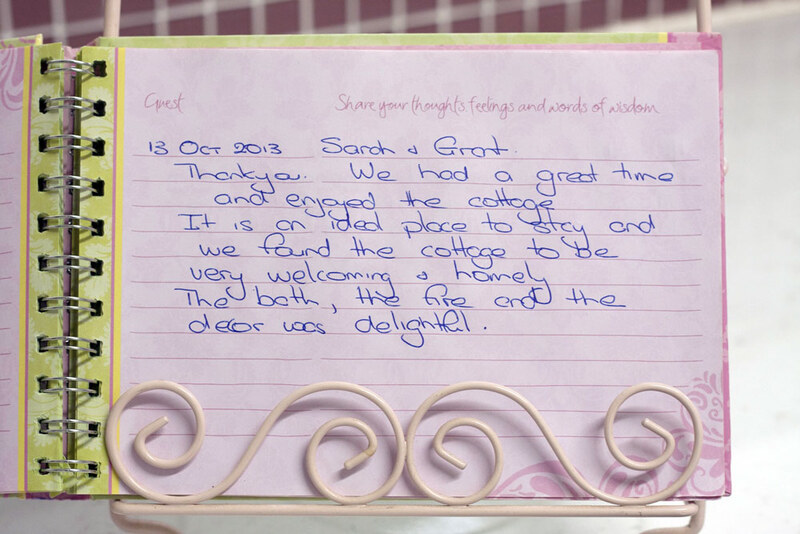 What a wonderful, relaxing, homely stay! Warm and cosy. Didn’t want to leave! The decor has given me some wonderful ideas and inspiration for my interior design course. Mark loved it even more than I did. Thank you. Thank you! It is a stunning place and Craig really appreciated being able to fit in the spa (he’s 6’6). The cottage is so romantic and was just what we hoped for. Beautiful! Loved every moment of our stay in your beautiful cottage. It yells “Paris” from the moment we walked in. Everything was so perfect, and so beautiful. It made our 19th wedding anniversary so special. Loved all the “special” extra touches and the decor is beautiful. To be able to sit in the backyard amongst the trees and the birds was superb. Every detail of this gorgeous shabby chic cottage was above my expectations. So comfy, clean and so special. 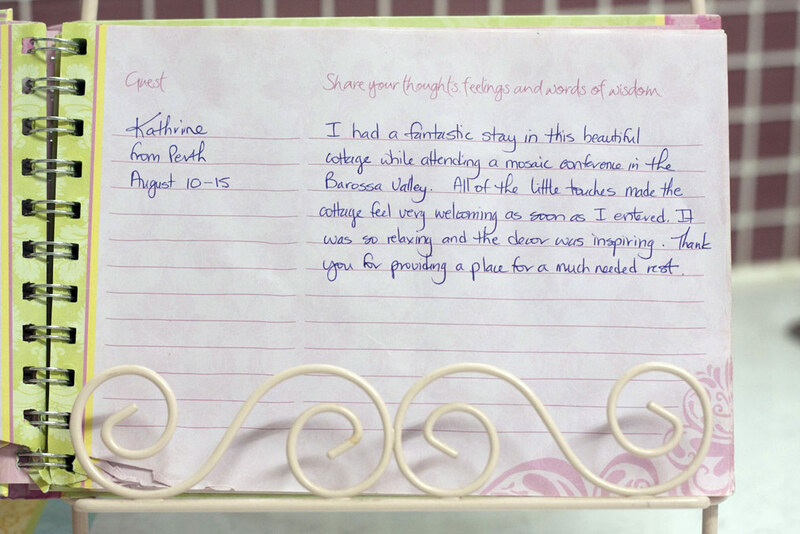 My memories of Jasmine’s Cottage are embedded in my heart. Thank you for providing our time here with special and romantic memories. 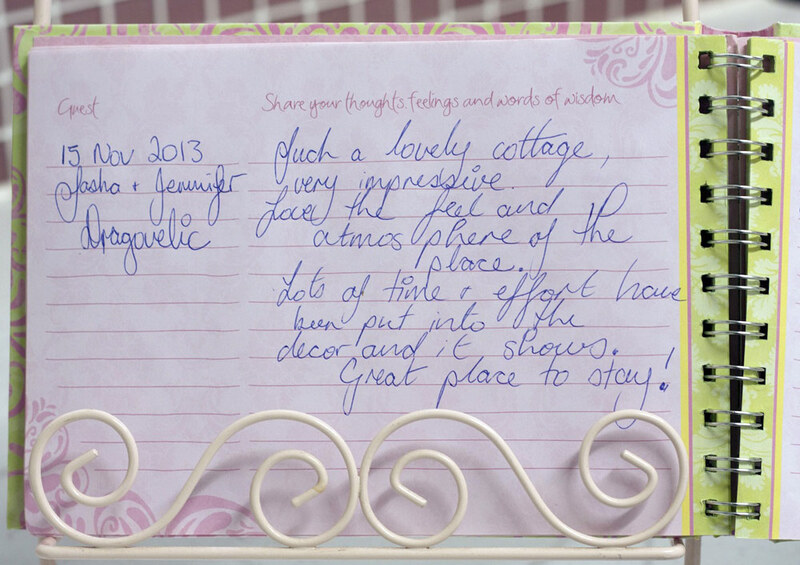 Our guests are delighted and say so after staying at Jasmine’s cottage. 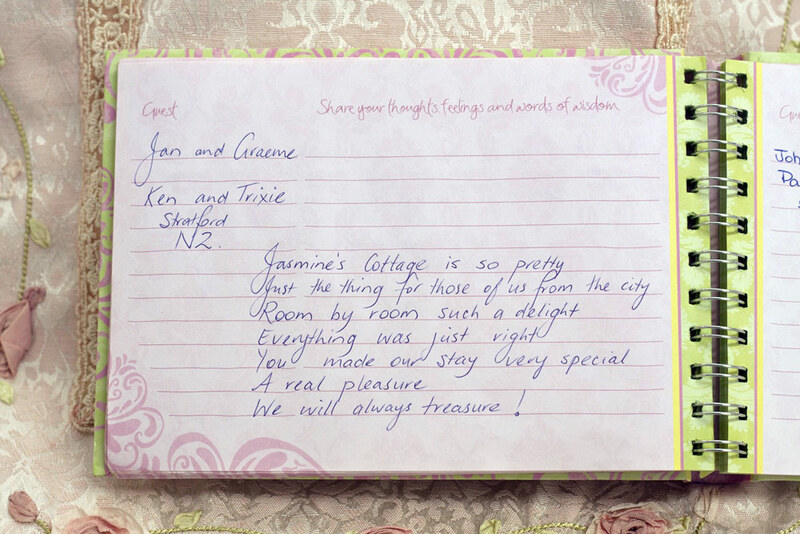 Jasmine’s Cottage is a B&B cottage retreat that you will truly cherish, so why not spoil yourselves and book now? 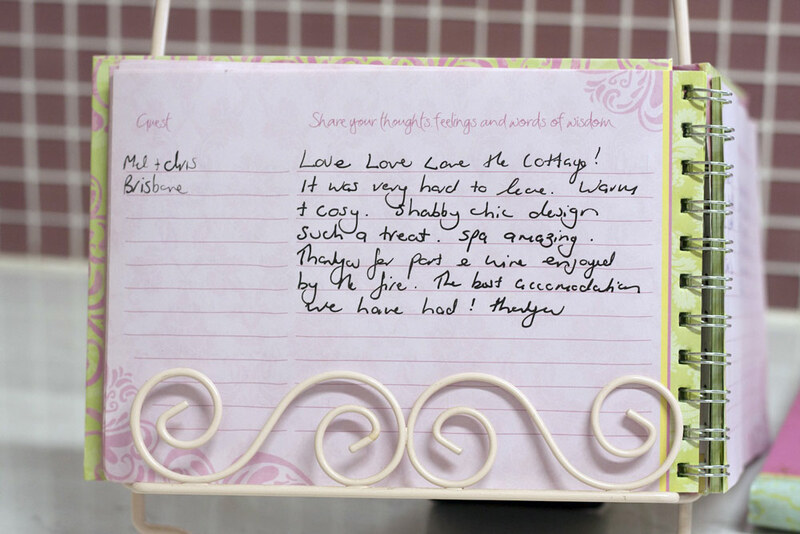 Read more great comments from our Guest Book below. Click on the images below to enlarge.